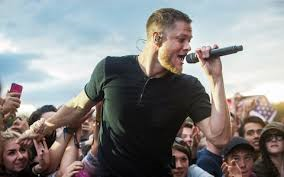 Imagine Dragons singer Dan Reynolds has come forward with his battle with Ankylosing Spondylitis (also known as AS) with the song Believer. He has brought well needed attention to a disease that affects many young people and is frequently not diagnosed in a timely manner. Ankylosing spondylitis is a type of chronic arthritis that primarily affects the bones of the spine. 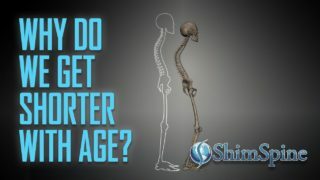 It causes inflammation of the vertebrae and bones of the pelvis. Long-term inflammation initiates bone regrowth in these areas, leading to the fusion of intervertebral and sacroiliac joints. There is an argument whether it is inflammatory or auto-immune but either way, there is no cure for ankylosing spondylitis. Treatments and exercise can lessen your symptoms and possibly slow progression of the disease. Early signs and symptoms of ankylosing spondylitis can include pain and stiffness in your lower back and hips, neck pain and fatigue. In severe ankylosing spondylitis, new bone forms as part of the body’s attempt to heal. This new bone gradually bridges the gap between vertebrae and eventually fuses sections of vertebrae. This causes stiffness in the low back, and very often in the rib areas. Symptoms can wax and wane. 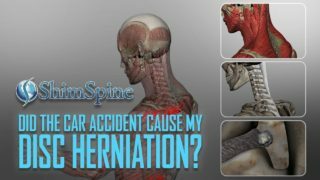 Areas most commonly affected are the sacroiliac joint, the lumbar vertebrae, anywhere tendons and ligaments attach to the bones in the spine and sometimes along the back of the heel. Hip and shoulder joints can also be painful. Other problems can include eye inflammation with symptoms of rapid-onset eye pain, sensitivity to light and blurred vision. Compression fractures in the spine (early stage) and heart problems can also occur. People who have a gene called HLA-B27 are at greatly increased risk of developing ankylosing spondylitis. However, only some people with the gene develop the condition. There are no other known causes. Treatment includes exercise, non-steroidal anti-inflammatories If NSAIDs aren’t helpful, a biologic medication, such as a tumor necrosis factor (TNF) blocker or an interleukin 17 (IL-17) inhibitor. TNF blockers target a cell protein that causes inflammation in the body. IL-17 plays a role in your body’s defense against infection and also has a role in inflammation. TNF blockers help reduce pain, stiffness, and tender or swollen joints. They are administered by injecting the medication under the skin or through an intravenous line. Some examples are Humira, Remicade and Enbrel. Secukinumab (Cosentyx) is the first IL-17 inhibitor approved by the FDA for the treatment of ankylosing spondylitis. A physical therapy consult is a must with this disease and is very important in slowing down the side-effects and preserving motion. Having this celebrity bringing this disease to attention of the world can hopefully help bring understanding and early diagnosis to the age group affected. Knowledge is power, again.